Bitcoin is Impacting Multi-Family Real Estate Transactions, What’s Next? 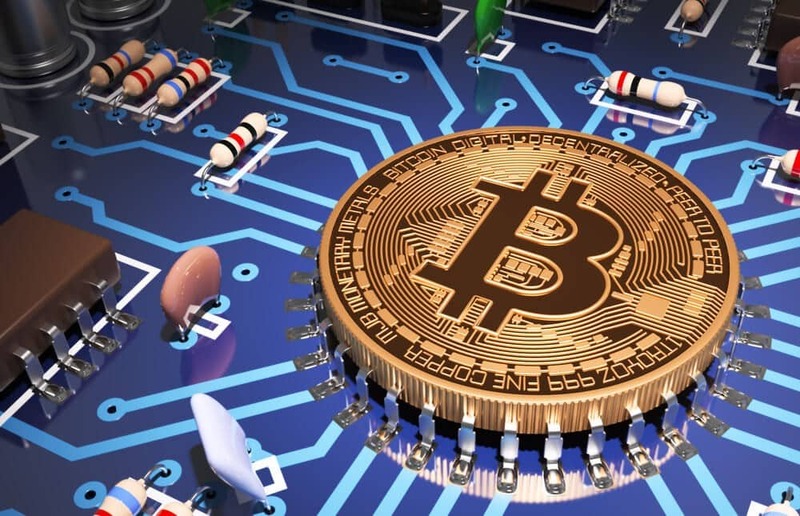 Blockchain technologies, specifically cryptocurrencies like Bitcoin have been making headlines lately as the world begins to utilize them in various transactions. Once stigmatized as a tool to enable money laundering, drug dealing, murder for hire and other illicit “dark web” transactions on sites like Silkroad, these technologies have shed their stigma, gone mainstream and minted some of the world’s newest millionaires. To highlight how far these currencies have come, on December 10th, Bitcoin futures began trading on the Chicago Mercantile Exchange and news recently broke about Goldman Sachs opening a cryptocurrency trading desk, increasing market depth, liquidity and adding legitimacy to technology that’s not yet even 10 years old. A new $325 million-dollar luxury multifamily development in Dubai is slated for completion in September 2019 and is said to be the first project of its size seeking payment completely through Bitcoin. The Aston Plaza & Residences development is the brainchild of two British entrepreneurs, Michelle Mone and Doug Borrowman, who have priced their 2.4 million square foot project completely in Bitcoin and partnered with a popular Bitcoin exchange to process the sale of the 150-apartment unit portion of the development. Another multifamily developer in Manhattan, Ben Shaoul, of Magnum Real Estate Group has started accepting rent and payment for the sale of his luxury multifamily projects in bitcoin because he, like the entrepreneurs at Aston, believes the currency is the future and wants in. The ability to convert to USD or hold Bitcoin offers attractive optionality to real estate entrepreneurs turned digital speculators. The value of a Bitcoin has grown at an astonishing pace relative to most assets, trading at around $15,800 today (12/26/17), down from a high of around $19,378 earlier this month and up from around $800 this time last year. With such volatility, adoption of Bitcoin does not come without significant risks, namely liquidity and loss of capital. Those that exchange Bitcoin for real property would be wise to think of Bitcoin like a commodity (even though it’s clearly a nonphysical store of value) that can be converted into many different things, including more property. Like a commodity, Bitcoins aren’t printed by or supported by a central bank and total supply isn’t regulated by any governmental entity. These qualities are why some governments and other political entities may have a vested interest in banning Bitcoin use in their country. Bitcoin is officially banned in China and several other countries around the world for many reasons, including the subversion of the local monetary controls and the ability to transfer massive stores of cash anonymously. South Korea is thought to have around 20% of the over all supply of Bitcoin held by within its borders and in a bombshell that sent prices down, South Korea announced that it might move to ban currency exchanges. Multifamily property transactions could risk being nationalized or seized in these countries if they were purchased with Bitcoin illegally. Liquidity in real estate is already relatively low but Bitcoin is aiming to increase the speed in which deals can get done. Bitcoin is inherently dependent on updating the entire blockchain or “general ledger” with every transaction but one truly amazing thing about blockchain is the enormous amount of computing power it takes to simply do one transaction. The entire network, made of billions of data points, must recognize the transaction as legitimate to transfer Bitcoin. This issue of speed is cleared up by large exchanges that can clear bigger transactions, but multifamily deals like the one proposed in Dubai would all take special relationships with dedicated exchanges to clear quickly. Compare that that transaction to a check or bank debit card that can be authorized in milliseconds with a direct verification method at a bank. With every big commercial transaction completed with Bitcoin, cryptocurrencies and blockchain technology gain legitimacy. The future is certainly trending in favor of blockchain utilization and further uses are on the way. The commercial title process and official record keeping process could be the next innovation in the real estate blockchain world. Being able to develop a multifamily project and transfer title, deed and ownership information in a blockchain platform could revolutionize those industries and cut down the lengthy closing process. It may also show promise for eliminating defects in title by creating a public and secure ledger. The impact to local governments, title companies, and the deed transfer process is in early innings, if the game has even started, but without a doubt someone out there is working to make closing complex commercial real estate deals happen with the push of a button. What do you think? Where will these new innovations take us? Will they disrupt or enhance the work you’re doing? We’d love to hear from you so please join the conversation on our LinkedIn post. Disclosure: I am not currently invested in any referenced cryptocurrencies or companies. Frenemies: Is Vertical Integration the Answer to OTAs?